The weather issues of 2012 played havoc with my Rudbeckia ‘Irish Eyes’ despite Rudbeckia ‘Marmalade’ fighting through the monsoon. The ‘Irish Eyes’ pictures here were taken by my digital friend Gillian who grew them in France…and rather fine they look too. 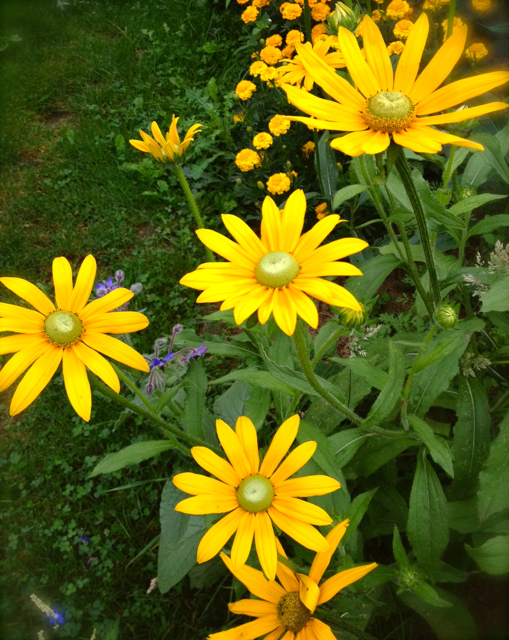 How To Grow Rudbeckia ‘Irish Eyes’. 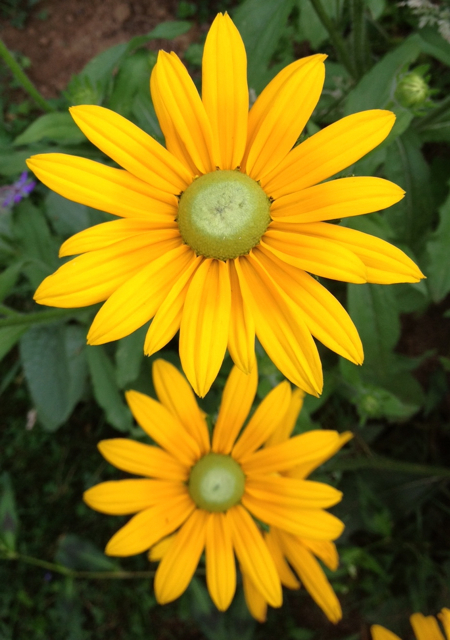 *Rudbekia is easy to grow, just follow these simple steps. *I start a few undercover in March?April…and then some directly into the soil in mid May. *Sow in 3 inch pots underglass a coldframe/greenhouse/windowsill. Make sure you use a good quality compost. Only cover seeds lightly as they need light to germinate. *Make sure they are in full sun. *Make sure they are in free draining soil. *Give them a foot of space between plants. *I don’t feed mine as they seem to get leggy and wispy and not very rock n roll if I do. ‘Irish Eyes’ have lovely long and straight stems which makes them fab for cutting…I love them with blues…like Cornflower ‘Blue Boy’ or Larkspur ‘Imperial Blue’…but also they look great with whites like Cosmos ‘Purity’ or ‘Gypsophila’. Grow Your Own Edible Flowers. When To Sow Annual Flower Seeds. Good to have you back posting. Have a fabulous Christmas and New Year. What did Santa say as he walked up my garden path? “Hoe, hoe, hoe!” and that’s before I’ve even pulled a cracker!